It is one of the exciting days in a year here in Japan but Japanese Christmas can be very different from that of Europe and America. So, I want to talk about Japanese Christmas today. It seems that not so many people actually understand what Christmas is or things about Christmas in Japan (sadly). 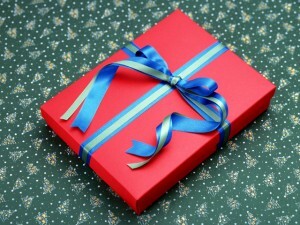 It is more considered as an annual event when lovers exchange presents, and parents give presents to their children. 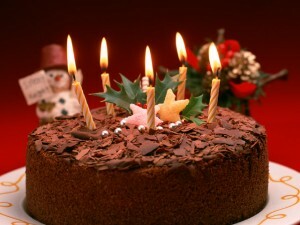 It is often seen that people go to eat at an expensive restaurants or buy cakes and make feast at home on the day. Speaking of presents, I saw an interesting statistic the other day. It was a survey that a Japanese company conducted last week asking “How much do you spend on a gift?” on 14,118 people including man and women. “For the most significant other,” the average budget was 10,825 yen (US$130). Men spend 13,312 yen (US$158) and women spend 9,384 yen (US$113) on average. Men’s budget is 4,000 yen (US$48) higher than women’s. I think “the most significant other” refers one’s spouse or lover, and people don’t spend so much on their children. 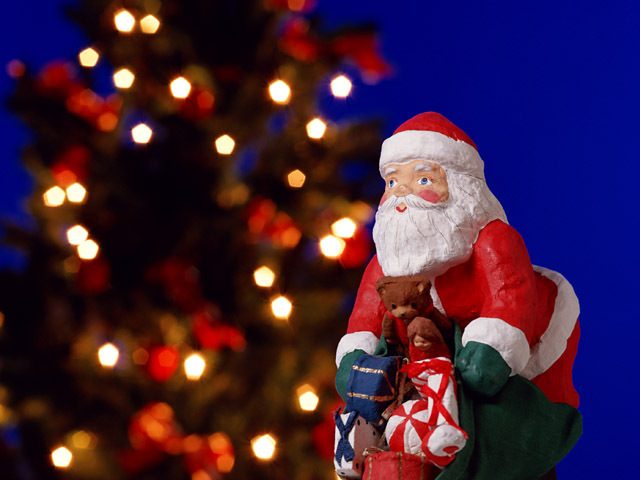 I was very surprised when a British acquaintance told me “it is hard to put many presents under a Christmas tree,” because Japanese children get mostly just one (or two) present (from Santa Clause). I heard that the children in Europe and America usually get many presents, but important thing is that each one is inexpensive. Is it true? Meanwhile, you might wonder what Japanese people eat on Christmas day. Basically, no turkey on the table. Usually we eat a Christmas cake and chicken dishes are popular too. But we don’t really cook them. We buy fried chickens at Kentucky Fried Chicken, supermarkets or something like that. 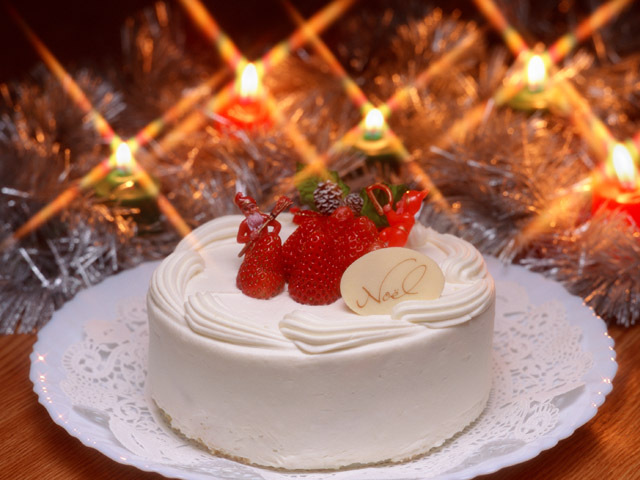 Strawberry cake is much more popular than chocolate cake for Christmas. Besides cakes and chickens, there is no special food that we commonly eat on Christmas day. Some families have sushi, or others buy expensive foodstuffs and cook their own. Lastly, about Christmas decoration. Most people don’t put too much. Because Japanese houses are small, a child size Christmas tree is the biggest, and most trees are desk-on size. We usually start putting decoration about a week before Christmas. I am sure that Japanese Christmas is very different from what you imagined.